In keeping with the wet and windy weather here in the UK, today's CopyKat considers "stormy" and controversial copyright reform on both sides of the Atlantic, a lightning bolt victory for movie studios to the tune of $25 million in damages, and a picture of a thundercloud. 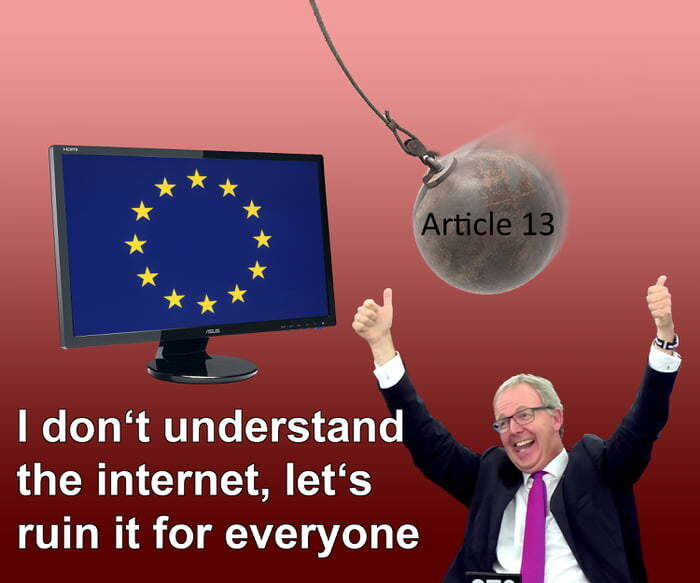 Axel Voss and the new Copyright Directive: deceived or indifferent? By now, many CopyKat readers will be aware that the recently approved Copyright Directive includes several controversial provisions, including the so-called “link tax” at Article 11 and the “upload filter” at Article 13. But an interview published by Breakit suggests that even members of the European Parliament’s Committee on Legal Affairs (JURI) may not have even actually known what they voted “yes” to. Emanuel Karlsten is a Swedish journalist who recently interviewed the EU's Copyright rapporteur Axel Voss. As explained by the EU Parliament fact page, the rapporteur is an instrumental person in the legislative process. Prior to becoming an MEP Voss was a lawyer himself, and has been a key figure in drafting the new Copyright Directive. As rapporteur, he has been crucial in carrying the Copyright Directive through to a successful vote earlier this month. Karlsten put it to Voss that, as per the Directive, "not even an individual can film a game of soccer or a horse riding competition". Voss replied that “the part about sports events had slipped through without anyone noticing” which "was kind of a mistake, I think, by JURI. Someone amended this, nobody has been aware of this. I didn't know that this was in the proposal so far, so I have to deal with it now." Attempts to update copyright law in the United States inch ever closer to being enacted into law. With midterm elections just weeks away, there was some doubt for a moment that the Music Modernization Act would even pass during this current Congress. However, the Senate majority leader Mitch McConnell (Republican, from Kentucky) brought it to a vote on 18 September, where it passed unanimously. Now that it has passed the upper house of the American legislature, the bill has been renamed the Orrin G. Hatch Music Modernization Act, after Sen. Orrin Hatch (Republican, from Utah). Hatch is retiring from government and, in addition to being a strong advocate for the act, also happens to own a platinum record (as an aside, you can see Hatch - and several other politicians - on the Dallas Observer’s page entitled The Most Entertaining Musical Performances by Politicians). As for next steps, the MMA must now go to the lower house for approval. Once the language is reconciled with the version approved by the House of Representatives, the bill will advance to the President for signature into law. But if we’ve learned anything from the Copyright Directive reforms in Europe, it’s certainly that “the devil is in the details” when it comes to legislation such as this. 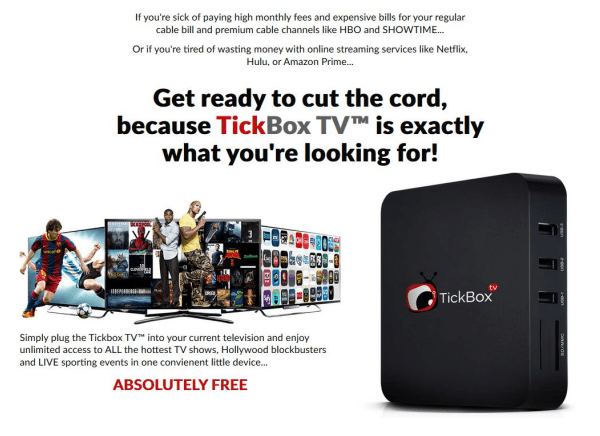 Although Netflix may have secured a victory against TickBox in the story mentioned above, that’s not to say that Netflix itself is free from blame when it comes to alleged copyright infringement. Netflix has received widespread acclaim for its retro science fiction series, Stranger Things. As noted by GeekWire, “creepy storm clouds looming over the fictional town of Hawkins, Indiana are a regular occurrence” on the show, but one particular cloud is alleged to look a bit too similar to a supercell captured by Montana-based professional photographer Sean Heavey. In his lawsuit filed in Montana last week, Heavey argues that Netflix took The Mothership photograph and used it without permission in Stranger Things. In 2010, Heavey took a photograph of a thunderstorm that he called "The Mothership." The image appeared in publications and online all over the world, including in an Apple advertisement, Random House, Time, USA Today, National Geographic, The Daily Mail, National Public Radio, and The Nature Conservancy. Unfortunately, it’s also been the subject of continuous copyright battles. In an earlier letter to Heavey, one of Netflix’s attorneys, Jarin Jackson stated that "The only similarity that exists between the Artwork and Mr. Heavey’s photograph, The Mothership, is the use of similar cloud formations. Copyright law, however, does not protect objects as they appear in nature." Finally, an update! Cadillac's hopes to avoid trial are "smashed"
Back in February, the CopyKat wrote about SMASH 137, a graffiti artist who sued General Motors for featuring his work in a Cadillac advert without his consent. With thanks to the entertainment law team over at the Hollywood Reporter, Esq, we now know that the matter is likely heading to trial, as General Motors failed to convince the judge to award a summary judgment. We also now have some new interesting case law in terms of whether or not graffiti on buildings forms “part” of a building’s architecture. This is an important question from a copyright perspective, as it can influence whether or not graffiti can be considered “background scenery” in commercial advertisements, and used without a licence from the artist. Swiss-based contemporary artist Adrian Falkner, known by his art world pseudonym “SMASH 137,” has had his work displayed around the world in various museums and galleries. In 2014, SMASH 137 participated in an art project called the “Z Garage” in Detroit, Michigan. Two years later, General Motors (GM) developed and launched an international media campaign to promote its new Cadillac XT5. 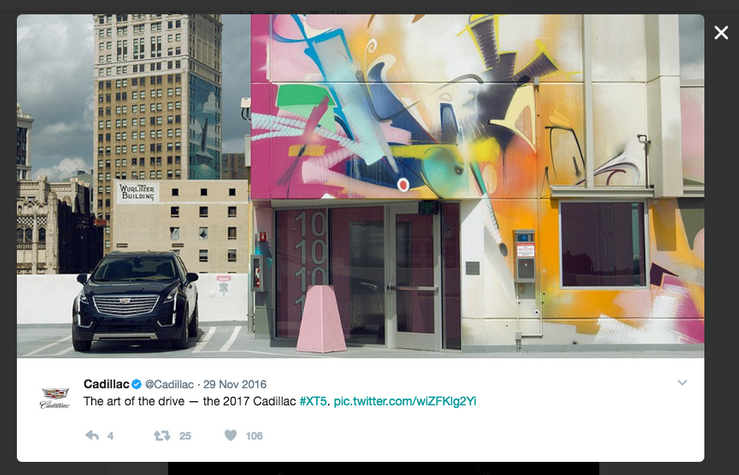 In several still-image advertisements, Cadillac featured SMASH 137’s Z Garage mural as the centrepiece artistic element. In his lawsuit filed in January 2018 in California, SMASH 137 sought damages because his mural was used in the advertisements without his knowledge or consent. As mentioned above, the car manufacturer’s attempt to dismiss the lawsuit has been defeated. In the decision, which was handed down on 17 September, judge Stephen Wilson noted that the mural was inseparable from the parking garage. From a copyright perspective, this matters because while copyright law protects architectural works, copyright law permits pictorial representations of architectural works. Pursuant to US Copyright law, the pictorial work in question must be "part of" an architectural work in order for the relevant copyright exemption to apply. Fortunately for GM however, Judge WIlson did agree with their point that copyright precludes an award of punitive damages. If the case proceeds to trial and SMASH 137 prevails, he is only entitled to recover statutory damages, which are capped at $150,000 (£115,000) for willful infringement, or actual damages.